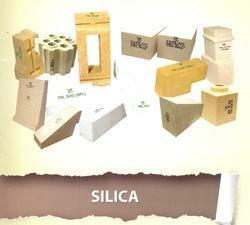 We are involved in manufacturing, supplying & exporting of Silica (Quartz). Iron-free grinding of selected quartz sand with a high SiO2-content in ball or vibration mills produces silica. The controlled particle size distribution is realized using rotor driven air separators. The chemical compound silica, also known as silicon dioxide, is the oxide of silicon, chemical formula SiO2. Siliceous is an adjective meaning “referring to silica. We Supply Fertilizer like Mgso4, water soluble Fertilizers, silicon oxide etc. Silicon occurs abundantly in nature in the form of oxide (Silica - SiO2) and forms the main constituent of earth. It is very hard and abrasive in nature.